Arielle and Sebastian. Even their names are adorable together, not to mention they make the cutest couple! 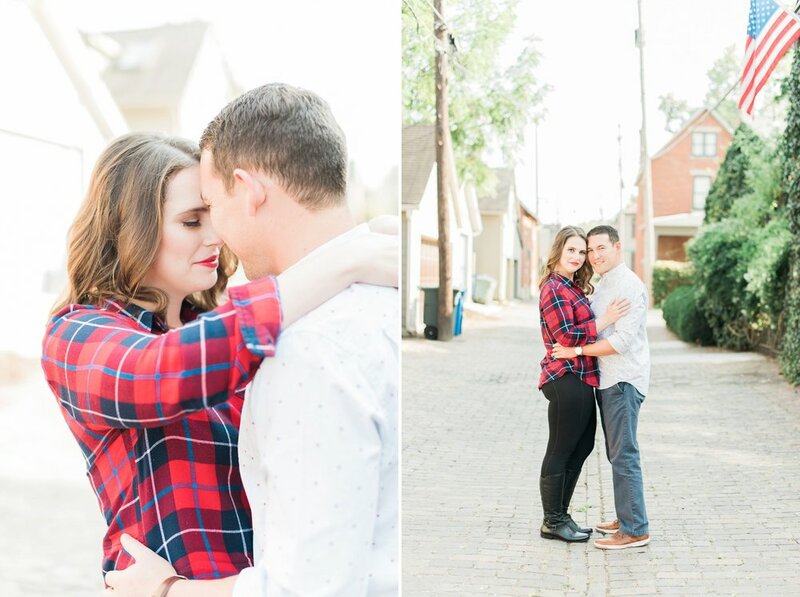 I'm so glad they found me to photograph their wedding in Columbus this summer. 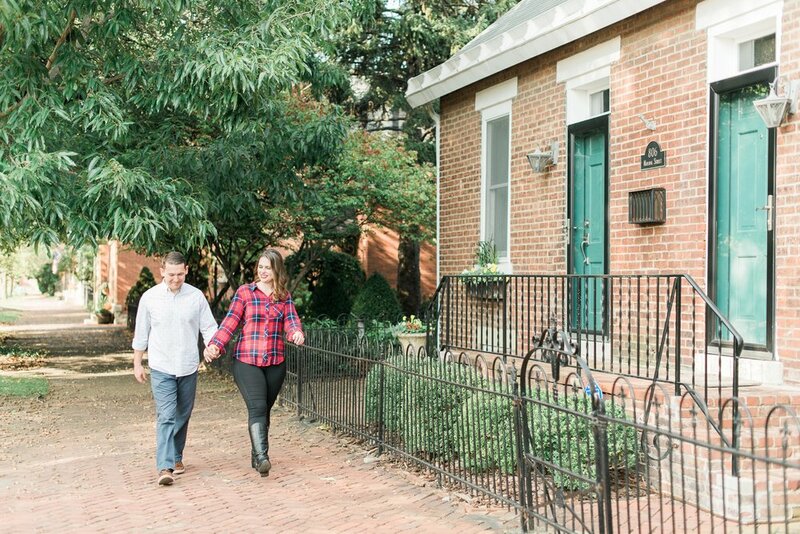 We had so much fun walking around German Village for their engagement pictures. It's a special place to them, since it's where Arielle lived when they dated for two years. 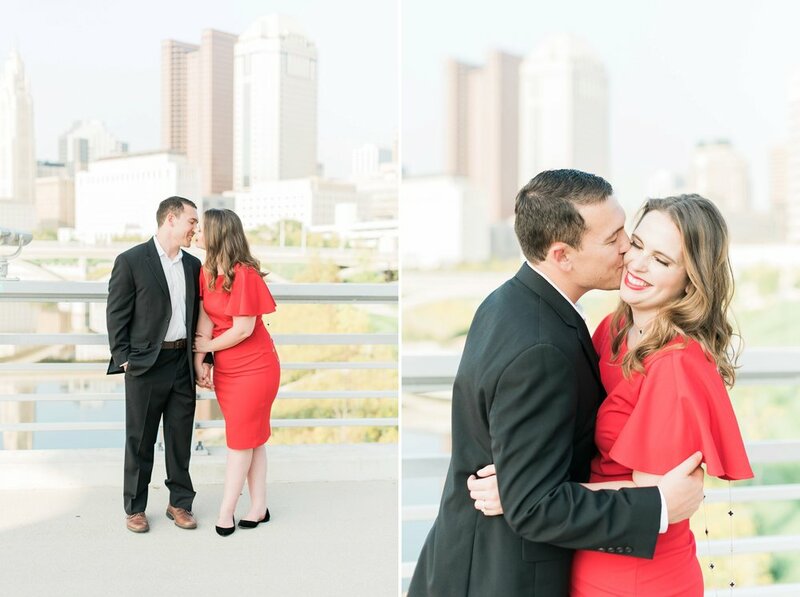 After we took pictures on the brick streets and alleyways, we went to nearby Bicentennial Park, one of my favorite spots for the Columbus city skyline. 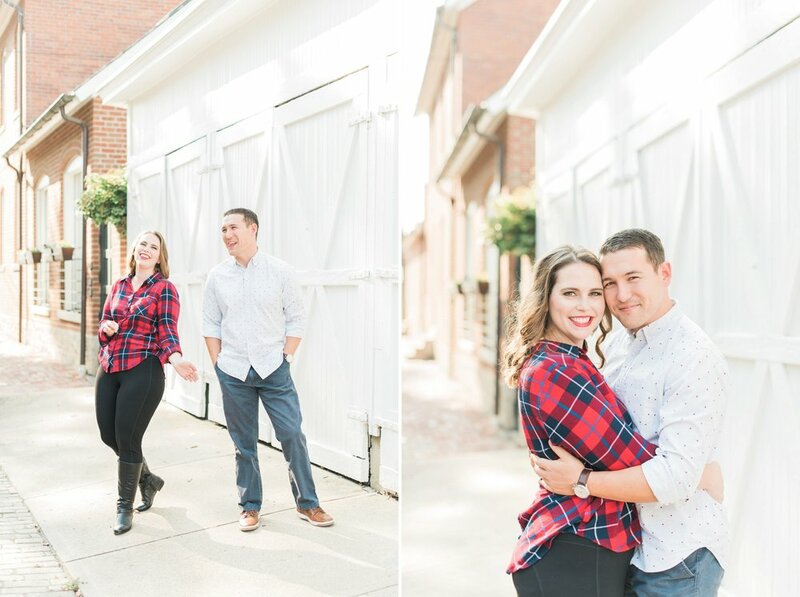 I am so excited to see these two tie the knot this summer! 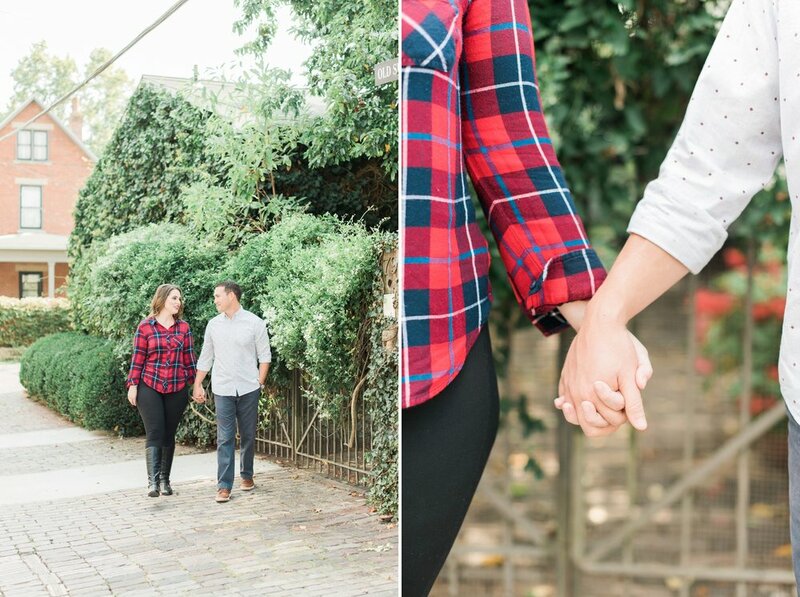 Even the short time we spent together at their engagement session makes me sure that their wedding day is going to be an AMAZING celebration. 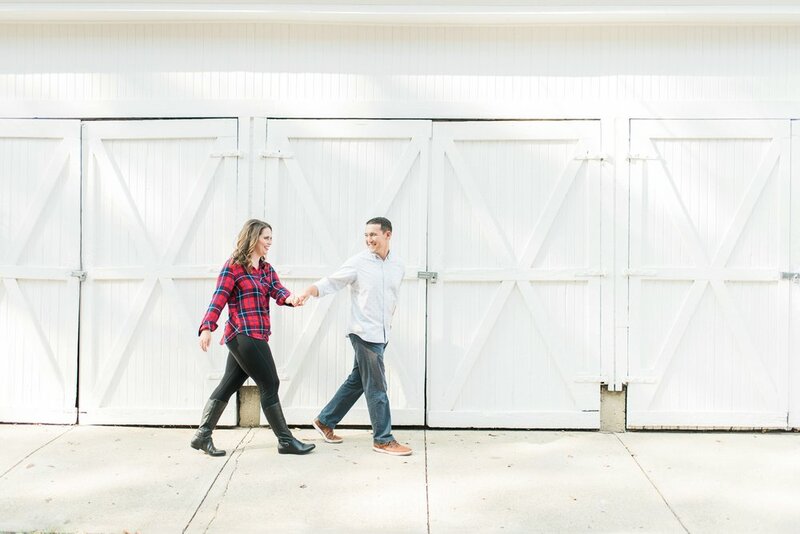 Can't wait to work with Perfectly Planned Weddings to help give these sweethearts the best day ever!